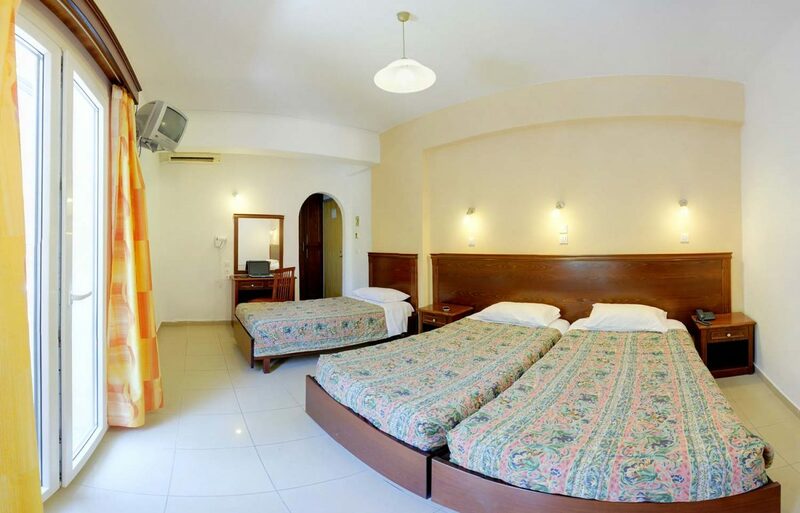 Our newly built family suites consist of two separate bedrooms and can offer you a luxury and comfort accommodation. Featuring a double bed, two single/sofa beds and a separate living room area. With a panoramic view to our swimming pool it's the perfect choice for couples and families. Overlooking the village of Gouvia, our fully equipped and furnished family rooms consist of a double bed and two sofa beds that can accommodate up to 4 adults (+baby cot upon request). 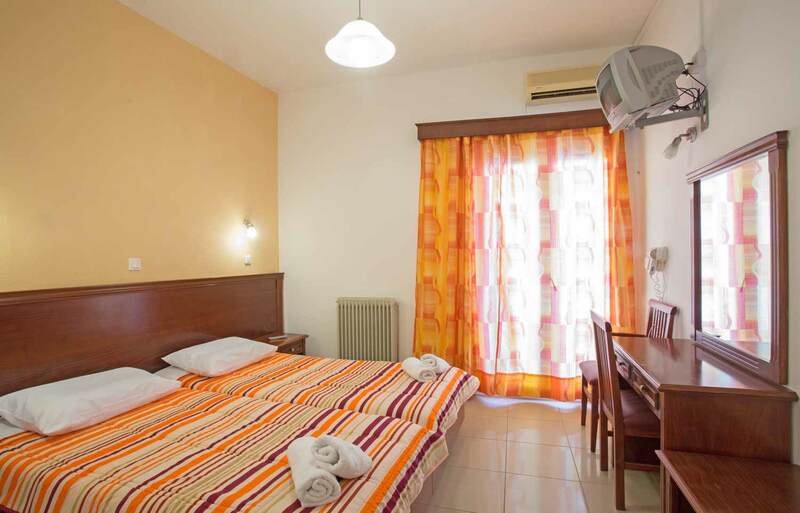 With daily housekeeping service and individual air conditioning/heating it's the best choice to spend your holidays with your family in Corfu. Our newly built family suites consist of two separate bedrooms and can ensure a luxury and comfort accommodation. Featuring a double bed and two single/sofa beds with a view to Gouvia village. 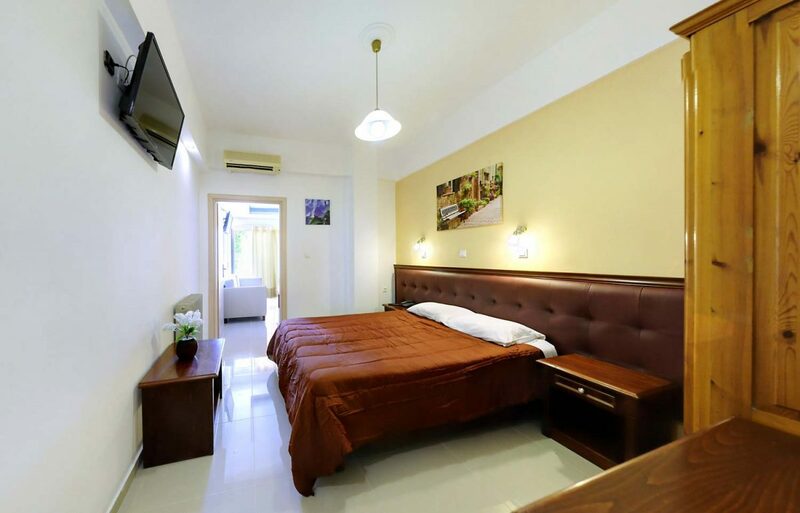 It's the perfect choice for couples and families for your holidays in Corfu. Overlooking the village of Gouvia or the pool and the garden, our fully equipped and furnished triple rooms consist of three single beds and can accommodate up to 3 adults (+baby cot upon request). With daily housekeeping service and individual air conditioning/heating it's a very good choice for spending your holidays in Corfu. 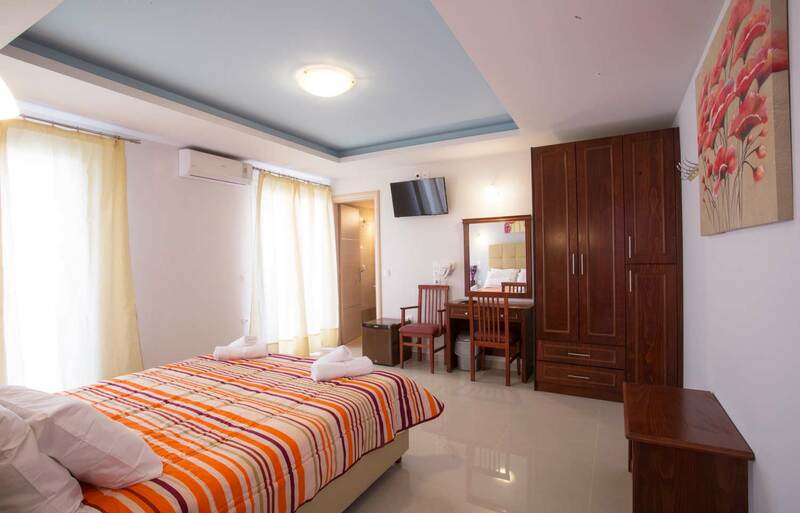 Overlooking the swimming pool of the hotel or the village of gouvia, our fully equipped and furnished rooms consist of two single beds or a double bed and can accommodate up to 2 persons (+baby cot upon request). With daily housekeeping service and individual air conditioning/heating, it is a very good choice for spending your special moments in Corfu.